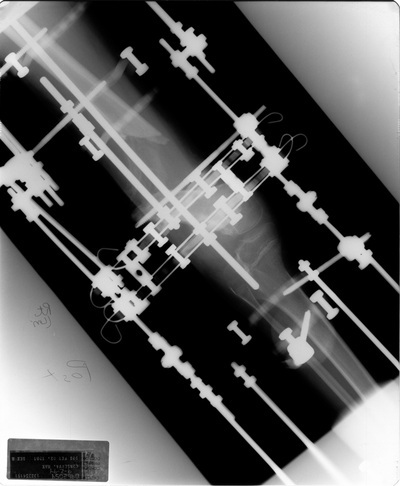 After 8 months, the Ilizarov device was removed on 03/23/1995. The operation was a successful in correcting the 60 degree valgus deformity in the knee and adding an additional 8.0 cm of length to the femur. 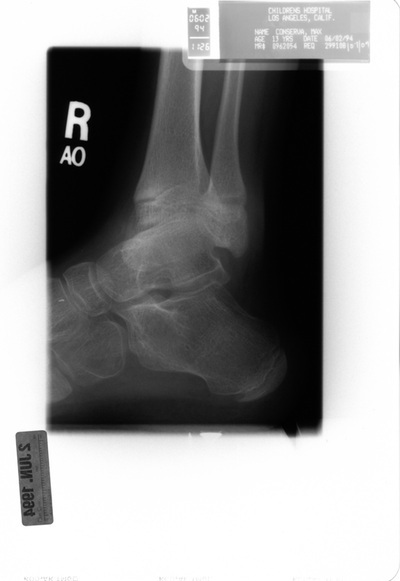 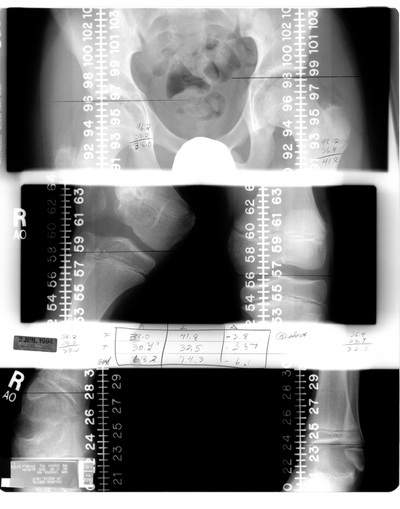 The surgery essentially created some new deformities to combat the original valgus deformity, such as a "bowing" of the femur in the section where the osteotomy was conducted and narrowing of the medial compartment. Approximately one month after the installation of the Ilizarov device an additional surgery was undertaken to add more hardware to the device. 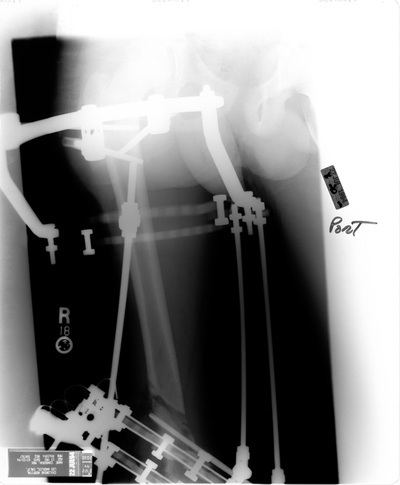 The proximal segment of the femur was medially translated, and not lining up with with knee. 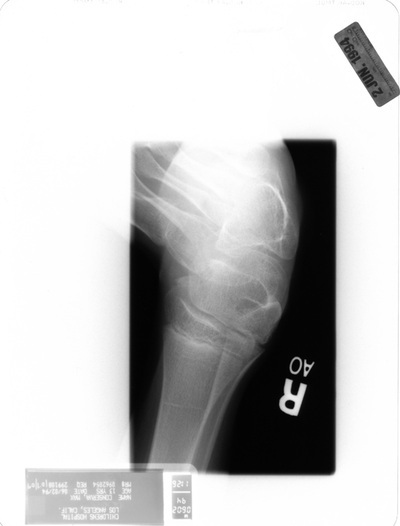 To additional pins and an additional ring were installed to gain control of this fragment. 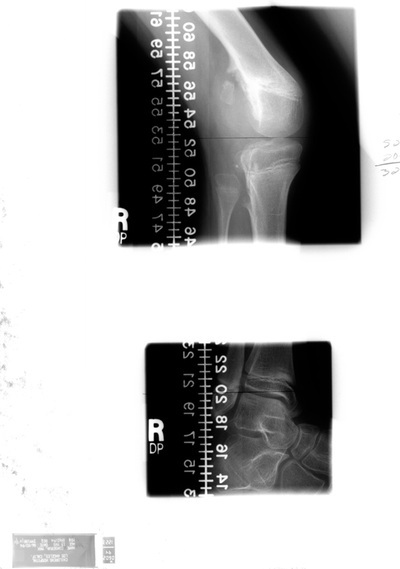 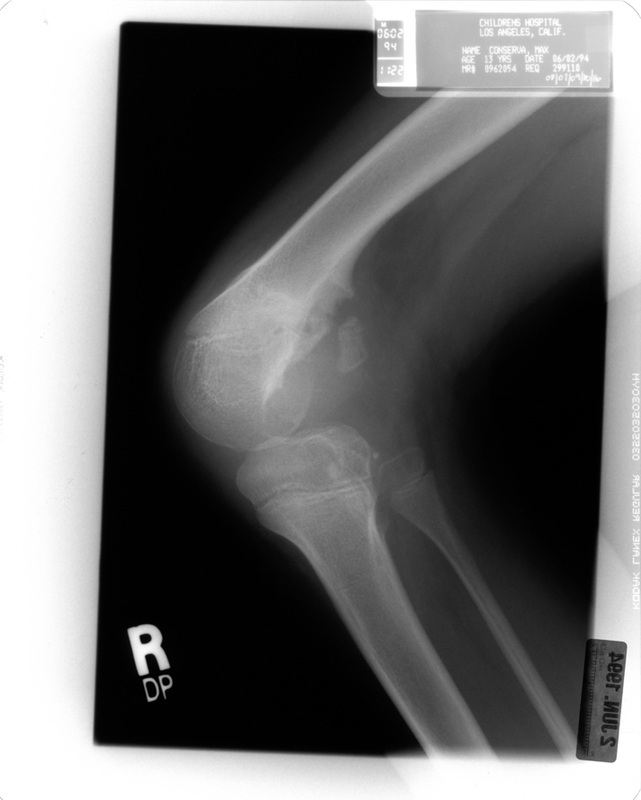 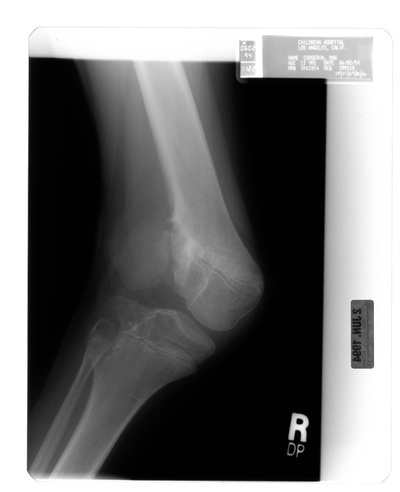 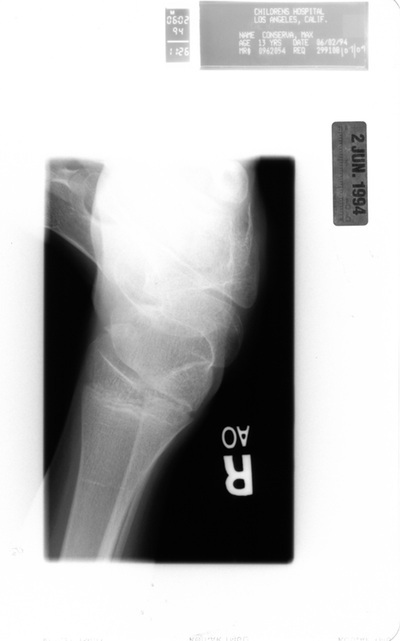 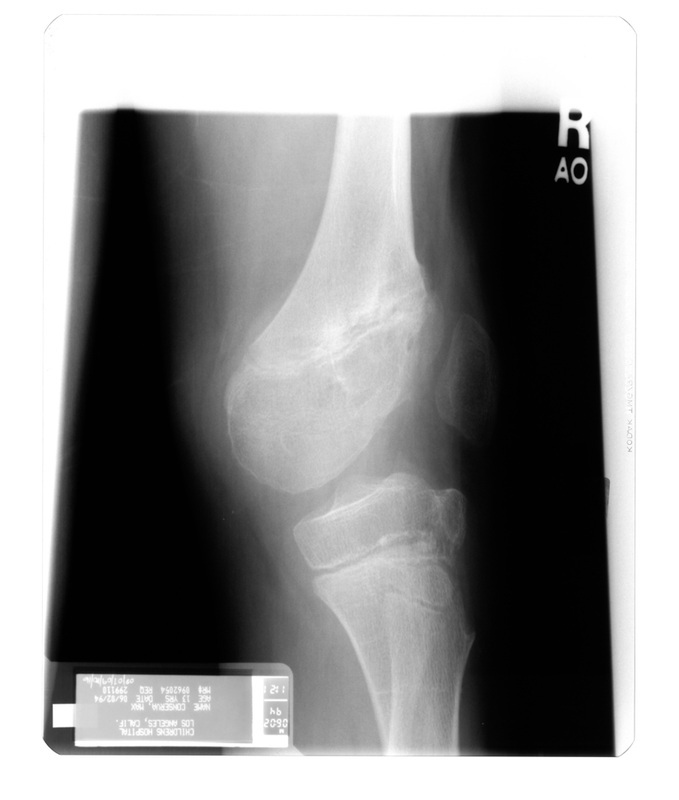 By 1994 the valgus deformity in my right knee had increased to 50-60 degrees. 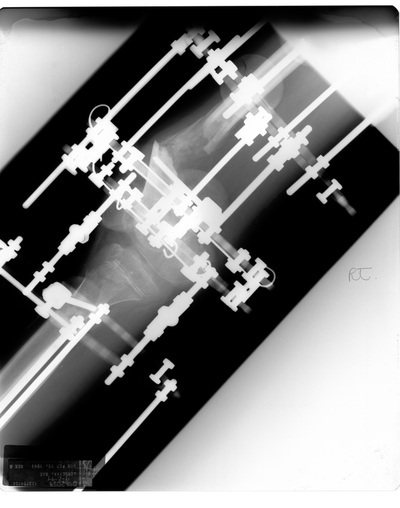 On 07/22/94 doctors at the Children's Hospital of Los Angeles surgically intervened. 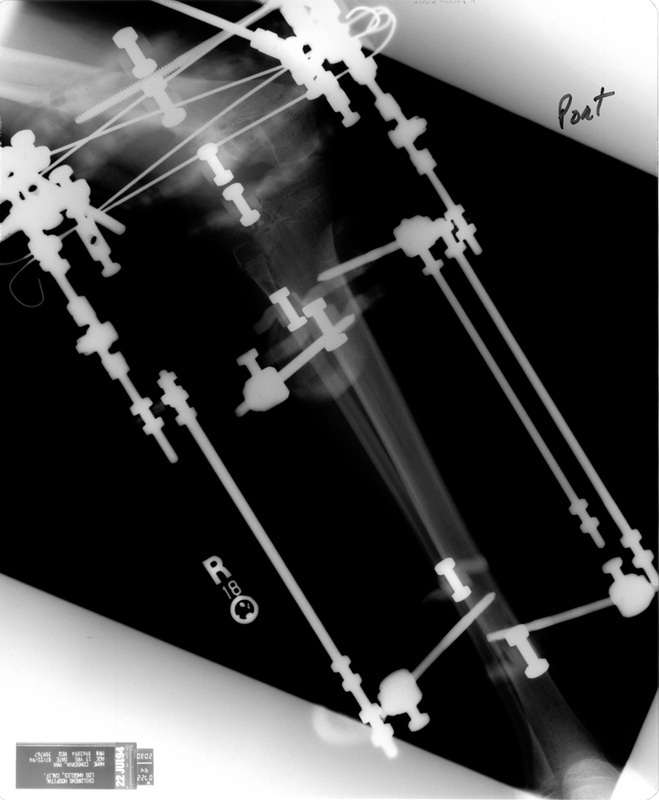 Conducting an osteotomy to correct the valgus deformation, an epiphysiodensis on the medial femur and tibia to prevent the deformity from reoccurring and the installation of an Ilizarov device to combat a forecast leg length discrepancy.